Citroën C1 1.0 VTi 72 Urban Ride 5dr 2019 Review | What Car? What Car? will save you at least £1,798, but our approved dealers could save you even more. Range-topping Urban Ride gets all of the kit that comes on Flair, plus matt black wheel arch extensions, black 15in wheels, black door mirrors, tinted rear windows, a special rear-quarter graphic and a striking blue and orange interior. 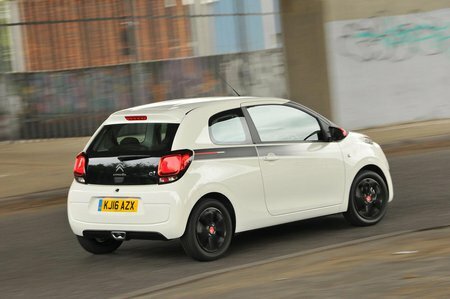 If you like the idea of a ‘ruggedised’ city car, this would be the model to go for. The engine is spoiled by a flat spot in its power that runs from tickover to 4000rpm. After that, it’s lively enough, but it means that to make good progress you have to work the engine quite hard. On long gradients, you’ll have to be prepared to drop down to a lower gear.